The visually stunning and vocally versatile yellow-naped amazon is a prime example of the heavy price that parrots pay for their good looks, brain power and loquaciousness. This species is one of the most highly coveted in the Central American pet trade and its population has been devastated by poaching and trafficking. The island of Ometepe – a wildlife haven in the middle of Nicaragua's largest freshwater lake – harbours an estimated 1,800-2,000 yellow-naped amazons. This represents the largest remaining population not just in Nicaragua but throughout the entire range of this endangered parrot. Poaching pressure is no less severe in this part of the world, but the Ometepe population has remained relatively unscathed by virtue of its inaccessibility. Even here, an estimated 40 percent of nests are thought to have been plundered in recent years to supply the illegal pet trade. 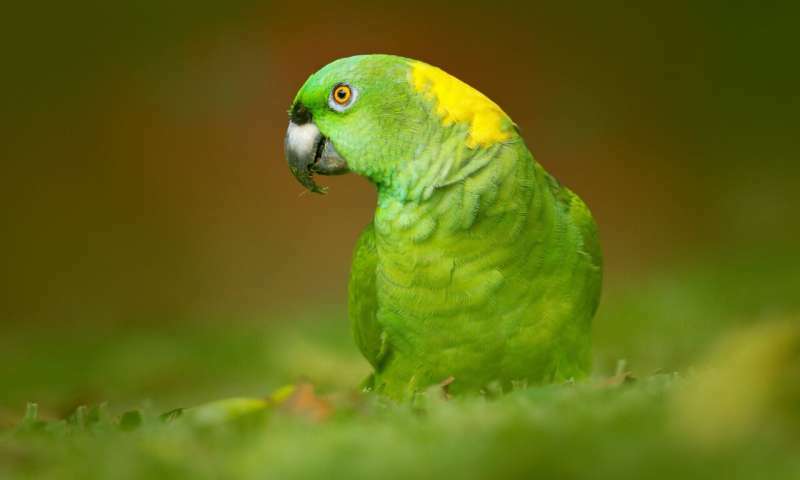 Local demand is at least partially responsible for the decline of the yellow-naped amazon – a staggering 25 percent of households in Ometepe keep parrots as pets – but national and regional demand are just as problematic, and there are disturbing reports of an increase in transcontinental trade, which could spell disaster for this beleaguered bird. 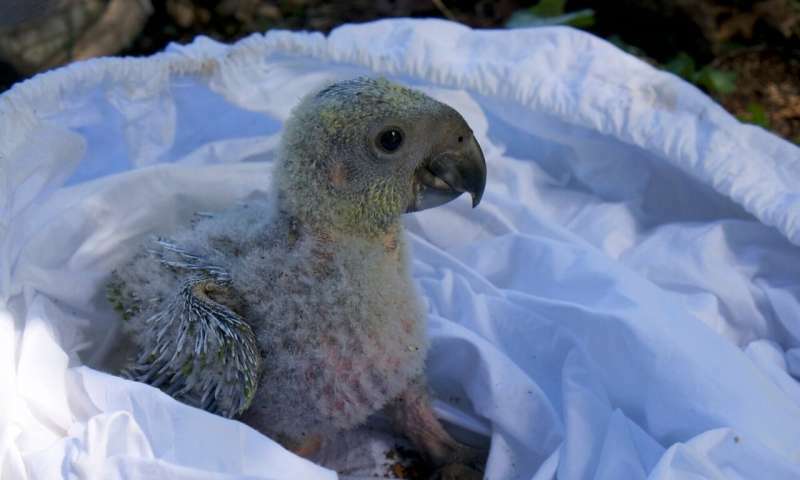 Trafficking methods are also becoming more sophisticated – for example, portable incubators are increasingly being used to smuggle the parrots abroad before they have hatched. Clutches of eggs are harder to detect and easier to transport, as they don't make noise or require feeding in transit. It is illegal to take yellow-naped amazons – eggs, nestlings or adult birds – from the wild, but the chances of being apprehended are slim. In the absence of any meaningful law enforcement, parrot poachers can transgress with virtual impunity. Anyone caught in possession of a parrot can expect to escape with, at worst, a metaphorical slap on the wrist. There is no denying the global importance of this island stronghold and its treasure trove of yellow-naped amazons – which begs the question: why are there relatively few protection measures in place to safeguard the birds? Part of the answer lies in the sheer magnitude of the task. The cost of protecting even a small proportion of nest sites is prohibitive, and more resources are urgently needed. 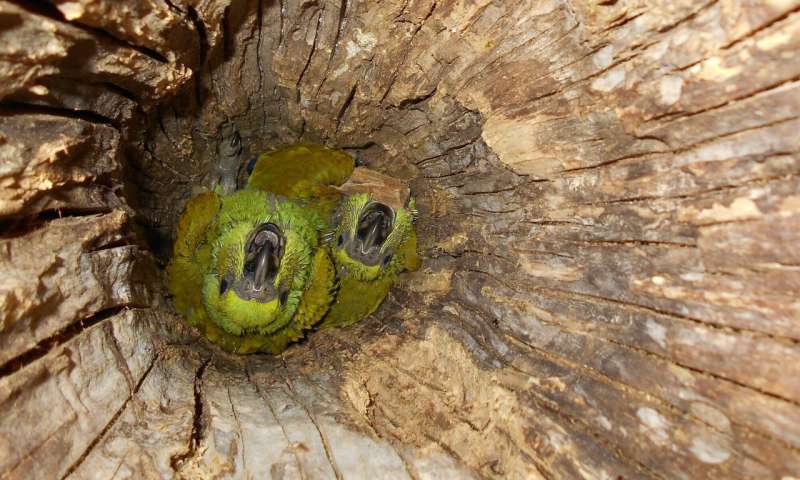 The parrot's predilection for holes in mature trees and its tendency to return to the same nest site year after year mean that breeding sites are easy for would-be poachers to pinpoint and stake out. With the best will in the world, it is all but impossible to guarantee island-wide protection. Communities have a crucial role to play in addressing illegal wildlife trade, and Ometepe is no exception. Fauna & Flora International (FFI) has been working with islanders for many years to encourage the adoption of environmentally friendly and climate-smart farming practices. Those same people hold the key to the survival of the yellow-naped amazon. FFI's outreach activities are building local support for the protection of the parrots, and community-led patrols are already helping to combat poaching at known active nest sites. But there is potential to achieve much more by harnessing local knowledge. By establishing a network of guardians and providing incentive payments for nest protection, we hope to stay one step ahead of the poachers. In this respect, we are aiming to learn from FFI's successful sea turtle conservation efforts in Nicaragua, which have seen local community members make the transition from egg poachers to turtle guardians. But however effective the anti-poaching measures may be, we know that long-term protection of these parrots – as with sea turtles – will ultimately hinge on demand reduction. With that in mind, FFI has launched an awareness campaign aimed at schools and other influential groups. We are working to understand the drivers behind parrot ownership and poaching, as a first step to changing local mindsets and attitudes. But this is a deeply entrenched cultural norm in Nicaragua, and will require sensitive handling. Before we claim the moral high ground, we need to remind ourselves that it wasn't considered socially unacceptable in western circles to keep a pet parrot in a cage until relatively recently. As for stemming the international demand, that's a whole different story. We're currently on the lookout for the perfect partner to help FFI realise that ambitious goal. "Successful, active centenarian, passionate about parrots, seeks sympathetic funder for long-term relationship."